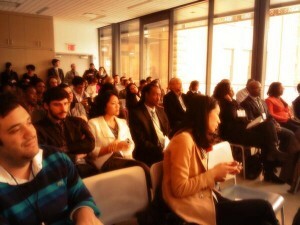 The New York tech industry is one of the city’s largest job creators, and not just in tech. According to a just released study conducted by HR&A Advisors and commissioned by the Association for a Better New York, Citi, Google and NY Tech Meetup, , New York City tech ecosystem generates economic opportunities for all New Yorkers. From 2003 to 2013, the NYC tech ecosystem added 45,000 jobs. The employment rate in the New York tech industry grew faster than the employment rate in New York City and the Nation. What is special about this study is that the tech industry is treated as part of a greater ecosystem and not as an independent silo. The report defines three types of jobs: 1. tech jobs in the tech industry, 2. non- tech jobs in the tech industry and 3. tech jobs in non- tech industries. 150,000 people work in tech occupations in non-tech industries (e.g. a web developer at Citi). Tech has become a cross-cutting industry that powers a broad range of other vertical industries, such as healthcare, media and education. With “52% of New York tech ecosystem jobs [being] within non-tech industries” this report underlines this trend. New York City’s cupcake icon, Magnolia Bakery, stepped up their marketing recently with a key partnership with MasterCard and participation in the Priceless Surprises and MasterPass programs. 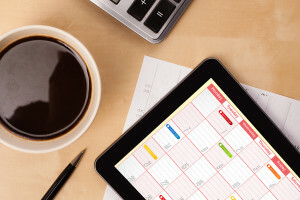 As the first quarter of the year is coming to an end, here are some of the key events (sorted by date) that should be on your radar for potential marketing and communications activities in Q2. 2014 will be the breakthrough year for Food Tech companies. This January at CES in Las Vegas, Yahoo announced with great fanfare the launch of two new digital magazines – Yahoo Food and Yahoo Tech. Both online publications boast a high caliber editorial team, led by Katie Couric and David Pogue. The magazines were designed on Tumblr technology, a multimedia blogging platform that had been acquired by Yahoo. According to the New York Times, Yahoo’s CEO Marissa Mayer said the digital food and tech magazines had already attracted more than 10 million unique visitors since their introduction in early January. That comes to no surprise considering that food and technology are among the most discussed topics online. Moreover, technology is increasingly transforming the food industry and spurred the creation of food tech companies. Rosenheim Advisor charted the 2014 Food, Tech & Media Ecosystem. 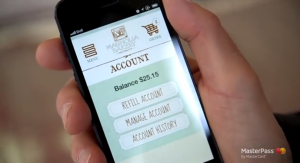 It stretches from online and mobile ordering, reservations, ad networks and loyalty programs to payment systems. 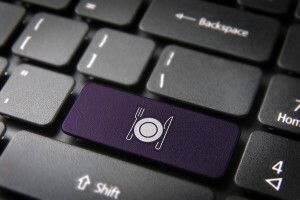 The food and tech industries continue to merge in 2014 offering more ways to hospitality businesses to market themselves and operate more efficiently. One of the nation’s food tech hubs is New York City. On a recent Food+Tech Meetup organized by the founders of Foodtechconnect.com, some of New York’s finest food tech startup showcased how they are transforming the way restaurants market and operate their business. · NoWait, is an iOS app that allows consumers to search restaurant wait times, add their names to waiting lists and get texts from restaurants when their tables are ready. CEO, Ware Sykes, shows how the company is serving a sizeable non reservation market space; restaurants and their customers that don’t take reservations and need better solutions than buzzers or manual text messages to manage an average wait line of 45 – 60 minutes. Serving over 1,000 restaurants nationwide, the company’s table management system seats up to 3 million diners per month. · Cover, founded by Mark Egerman or Andrew Cove, is a payment processing app that lets customers seamlessly pay for their meals and saves restaurants money on credit card fees. Diners can use the downloaded Cover app to easily settle their bill on their mobile when leaving the restaurant and even preset tip percentage and bill splitting with other diners. · Culinary Agents and Easy Pairings are both solutions to help restaurant owners with recruitment and staffing in the hospitality industry. While Culinary Agents offers match making for the back of the house and front of the house, Easy Pairings currently focuses on front of the house staffing, with plans to expand in the future. CEO and co-founder Darren Wan shared that based on his own experience managing a restaurant in New York, staff turnover is a major pain point for the food industry. Turnover rates are approximately 55%. Data analytics and online profile matchmaking can help restaurant owners to identify proper candidates quickly. With New York, and especially the borough of Brooklyn, being a major hub for digital media, tech and food businesses, it will be exciting to see how the three industries will feed each other with new ideas and innovative business models. On Tuesday Technical.ly Brooklyn, a news organization and community builder covering technology, hosted the “DIVERSITY In/ Tech” event at the Brooklyn Navy Yard Center. After a warm welcome by Brooklyn borough president Eric Adams the event started with a panel discussion on the state of science, technology, engineering, and math (STEM) education. As these disciplines gain increasing importance in our current economy, so too does the necessity of STEM education in an effort to ensure future generations are equipped with the proper skills for the work force of tomorrow. But when does early specialization overburdens children and teenagers? All participators in the roundtable agreed that early education should be “well rounded”, and not pursuing the goal of breeding young adults with skills to serve corporations. Stephanie Cuskley of NPower also added that the perspective matters. Some people who come from a socially deprived background must make finding a job a primary driver of the educational path they choose. Schools need to adapt technology further in their curriculum and open it to a wider range of students. Ben Esner, director at K-12 STEM Education, said that after the computer and internet have become part of our daily life in the past 50 years there are still no standards or requirements in NY State for computer science teachers in middle or high school. Education will include more technology in the future, but there is a big need of qualified, educated role models who can reach out to the children. 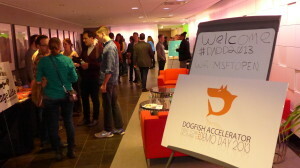 Last Friday the Dogfish Accelerator Demo Day took place at the Microsoft Technology Center in New York City. For the very first time film production companies pitched their projects to the investment and entertainment community, taking a page from the tech industry playbook. Inspired by the TechStars model, eight production teams presented 13 films, 3 marketing and distribution platforms, 2 multi channel networks, and ancillary streams of revenue including graphic novels, video games as well as a fashion line to more than 200 investors and media representatives at the Dogfish Accelerator Demo Day. The first cohort of the Dogfish Accelerator program was selected from 440 applications. Dogfish Accelerator was founded by James Belfer and Michelle Soffen to help indie film producers think like startups. Belfer, who worked on several film productions with his company Dogfish Pictures, realized that the film industry needs to change. Cleantech was identified as an opportunity to drive economic growth in New York City and support the execution of PlanNYC, the City’s sustainability ago some years ago. The global clean tech market is expected to grow to $5.9 trillion by 2015 and the goal is to capture a larger market share and establish New York City as a leader for green and clean tech. Initiatives like the NYU ACRE incubator for clean tech companies, cleanweb hackathons and the energy efficiency programs by ThinkEco, have created excitement around New York’s potential to drive clean tech innovation. New York is now home to more than 40 clean tech companies. However, New York is still considered to be clean tech market laggard compared to other geographic regions. What can be done to change it? Part of it, is looking at the road blocks. The New York Economic Development Corporation (NYCEDC) together with A.T. Kearney conducted interviews, panels and workshops with clean tech industry leaders to identify New York City’s hurdles to take a more prominent position in the global clean tech arena. The study concluded that with its high real estate and labor costs (and may we add tax rates), New York City does not cater well to traditional cleantech businesses, which require vast capital, engineering skills, and manufacturing facilities. 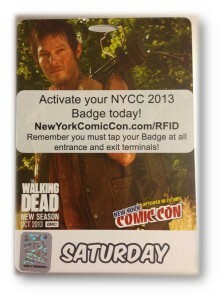 New York Comic-Con Goes High Tech with Radio Frequency ID Badges! For those who are not familiar, Comic-Con is THE convention for comic enthusiast, anime aficionados, and pretty much anyone interested in pop culture and seeing people dress-up as super heroes. Started in San Diego in 1970 by a Detroit-born comic fan and a team of local comic scene influencers, the inaugural Comic-Con attracted 145 attendees. Fast forward to 2013 and Comic-Con now has a presence in several major cities around the world, attracting 116,000 and 130,000+ at last year’s New York City and San Diego events respectively. Following tradition, this year’s New York City event will take place at one of the only Manhattan venues able to accommodate such a crowd, the Jacob K. Javits Convention Center and Plaza. Although the Javits center occupies an impressive 5 city blocks, there have been overcrowding issues since the first New York Comic Con (NYCC) in 2006 when the fire marshals barred entry for much of the day on Saturday and ReedPOP (ComiCon organizer) suspended Sunday ticket sales. According to Pei Cobb Freed & Partners (Javits Center’s architecture team), the Javits Center has a capacity of 85,000 people, 31,000 less than last year’s attendance. The discrepancy in capacity versus expected attendance shouldn’t be an issue though, as long as all 116,000+ expected attendees don’t plan on entering the convention at the same time. In order to ensure that this does not happen, this year’s tickets are really not tickets at all. Instead, all pass holders have been given badges with built in radio-frequency identification (RFID) chips. These RFID badges will help not only this year’s NYCC crowd control, but they will also aid in setting up next year’s exhibits for optimum crowd distribution. The Buffalo Billion. To help Buffalo in reviving its economy, Governor Andrew Cuomo has committed a historic $1 billion in investments to the Buffalo economy. Known as the Buffalo Billion Investment Development Plan, the governor introduced the plan earlier this year with a roadmap for six signature investable initiatives aimed at helping all areas of the economy. 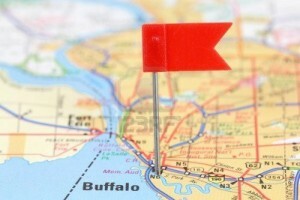 Most notably for the startup world is the Buffalo Breakthrough Business Challenge. This initiative will feature a “world-class business plan competition to catalyze the region’s entrepreneurial ecosystem.” With prizes such as incubator space, mentorship, VC intros, and funding, plan to see even more scruffy looking programmer types invading the local coffee shops once the competition kicks off.